Now for sale at 28 Spring Street West Waterloo is a one-of-a-kind property located in the heart of Waterloo’s most historic neighbourhood. 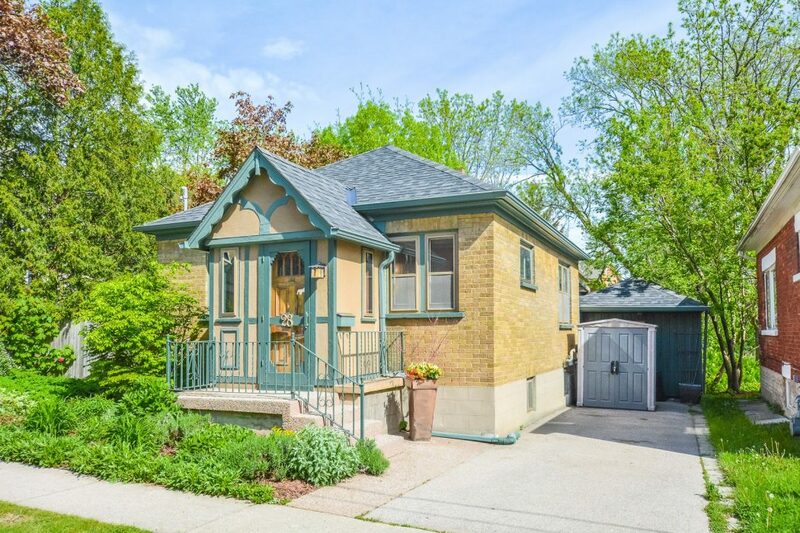 This three bedroom, three bathroom Tudor-style cottage bungalow offers condo style living without the condo fees. Live comfortably upstairs while the downstairs helps pays your mortgage. The yard is fully fenced, with shady trees, a covered deck and a tranquil wooden tiled Japanese Garden. The front yard is an English Garden, with native plants. The yard is low maintenance and grass-free. It is so quiet and peaceful that it is hard to believe that you are in the heart of Waterloo. And, 28 Spring Street West has a Walk Score of 93! Your tenant will have their own private garden leading to their private entrance into the basement suite. Also out back, the converted garage is now a four-season studio workshop, fully electrified, air conditioned in the summer and heated in the winter with a gas fireplace. The studio space would be perfect for most hobbyists or home businesses. It is flooded with natural light with newer windows, and a skylight. The studio space also has a reclaimed wooden floor, and exposed wooden beams. Nice. The kitchen has been updated, yet is loaded with character. It is open concept and boasts a cafe counter, cork flooring and stainless steel appliances. The kitchen and dining room have an exposed brick wall with a contemporary sliding barn door leading to the back bathroom, bedroom and covered deck. The home is carpet free. The original limited-edition wooden floors are BC Fir. Gorgeous. Lots of frosted glass windows including a living room piano window allow for bright natural light with complete privacy. The living room has french doors leading to the dining room and from the foyer. The home is plaster construction. The main floor has two bathrooms and two bedrooms. The front foyer is a perfect cozy place to welcome guests. The basement suite has a Dricore subfloor, a galley kitchen with apartment size fridge and stove. The basement suite is fully self contained with a private entrance, and in-suite washer/dryer. New A/C 2012. New roof 2009. New high efficiency furnace 2004. The home has 2 fridges, 2 stoves, 2 washers, 2 dryers, 2 Class B rental licenses, 2 private gardens and parking for 2 cars. That’s 2 to power the 7! There is extra storage in the basement and a garden shed off the driveway for bikes and gardening equipment. There are screens on all of the eavestroughs so they never have to be cleaned out. This home is a dream for urbanites, young professionals, hobbyists, artists, AirBnB hosts, investors, and those with home-based businesses. 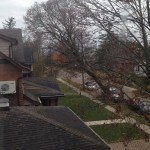 What’s it like to live in Uptown Waterloo?